Once in a while I like to make lemon rice to pack for lunch. It is so easy to prepare and tastes so good too. 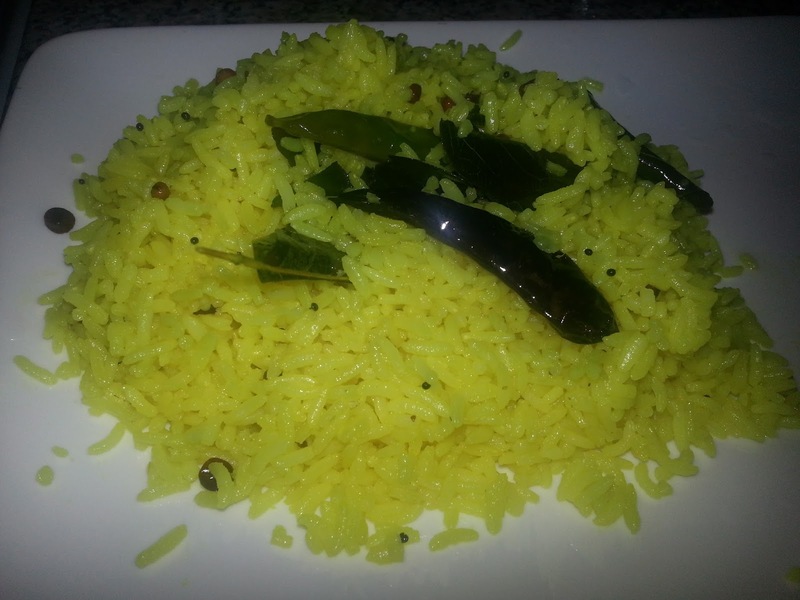 I used to like lemon rice quite a lot as a child. 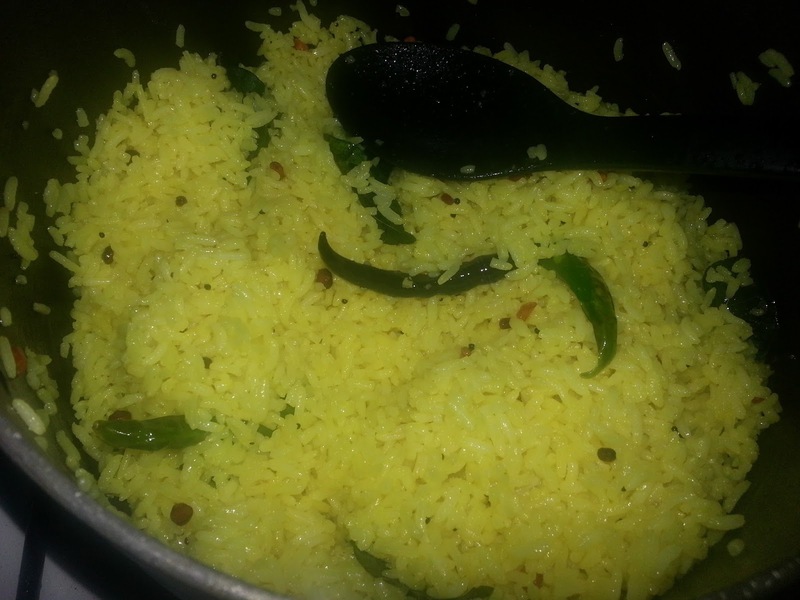 The best recipe to prepare when you are very tired or busy or when you have leftover rice. My mother and mother in law use the same ingredients but the way they mix is different. My mother adds lemon juice to the tempered items before mixing rice whereas my mother in law mixes rice and lemon juice and then mixes with the tempered items. Both taste similar. 1. Cook rice till almost done and let it cool. 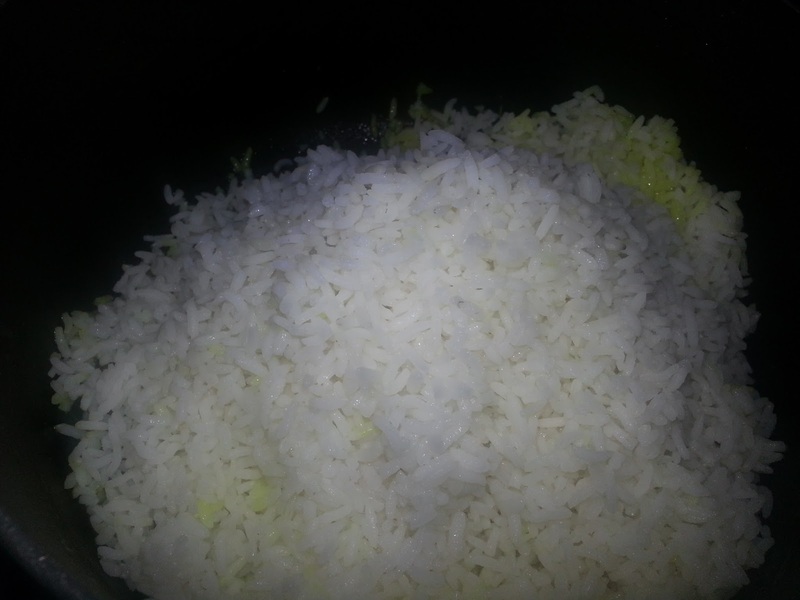 I cook rice by adding it to boiling water with salt and oil and drain the water once rice is cooked. 2. If using peanuts roast them slightly and add to the rice and mix. 3. In a cooking vessel heat oil. 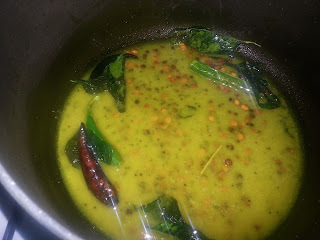 Add dried red chillies followed by mustard seeds. 4. Once they splutter add urad daal and chana daal. Then add curry leaves and green chillies. Fry till daal turns a bit brown. 5. Add turmeric powder and salt and mix. 6. Switch off flame and add lemon juice and mix well. 7. Add the cooled cooked rice without any lumps and mix well. 8. I cover and leave it on low flame for just a minute but it is not required.